Ángel Rodríguez (full name: Angel J. Rodríguez-Vergara Díaz) is a doctor in Political Science (Universidad Complutense, Madrid) and Ph. D. in Law (European University Institute, Florence, Italy). After holding for four years (2001-2005) the Chair in Constitutional Law at the Universidad de Extremadura, he rejoined in 2006 the Faculty of Law of the Universidad de Málaga, where he had previously been lecturing in Constitutional Law (since 1990) and had served as Vice-Dean and Acting Dean. Since April 2007 he holds a Chair in Constitutional Law at the Universidad de Málaga. Dr. Rodríguez has been a postdoctoral researcher at the University of Regensburg, Germany and at the Institute of Advanced Legal Studies of the University of London, and visiting scholar at the Harvard Law School; fellow of the Real Colegio Complutense at Harvard University and, granted by the Fulbright Commission, of the Salzburg Seminar; and law clerk at the Italian Corte Costituzionale, where he worked at the Compared Constitutional Law section of the Research Service. 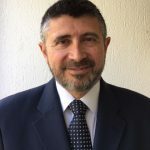 He is at present director of the research group of the Andalusian Research Plan (PAI) EURIGHTS, Fundamental Rights in Europe, (PAI SEJ 0171), and senior researcher of the European Observatory on Gerontomigration. For a complete CV, visit Ángel’s personal page.